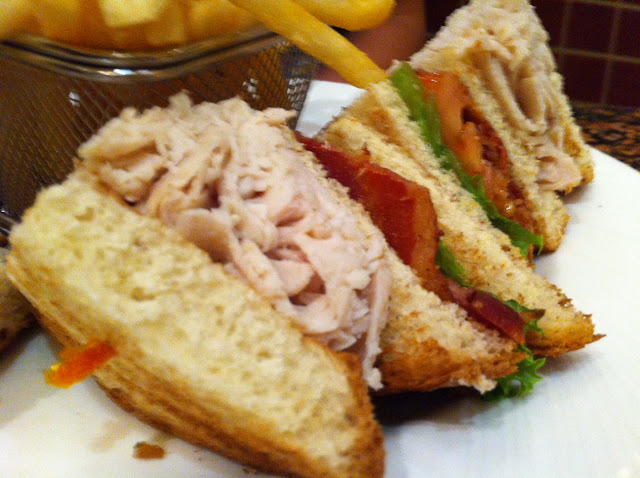 Should I stop writing about club sandwiches? There's really not a lot to say about a club sandwich if it's made with honor and decency, as is the case with this triple-stacked thang at the Red Rock Resort's totally honorable, decent coffee shop. Plenty of bird, nice, thick strips of pig, fresh veggies. It's all good. Does that make it boring? Hmm. Sounds really good right now, actually.